Marriott is one of the largest hotel chains in the world and there are plenty of ways to earn Marriott Bonvoy points for award stays at one of their thousands of properties. Who wouldn’t love a free night (or 5) at a great Marriott property? Below, you’ll learn how it’s possible to earn 100,000+ Marriott points in as few as 90 days! Make sure you check out our guide to earning tons of Marriott points to keep the fun going. Why Would You Want to Earn 100k Marriott Points? While you may wonder how you could ever spend 100,000 points, you don’t need to give it a second thought! Marriott points offer so many redemption opportunities at thousands of hotel properties that you won’t have any trouble finding the right hotel for you. Use your Marriott points for a room upgrade or free stay during your next trip. One of the fastest ways to earn Marriott points is the sign-up bonus for a Marriott credit card. These hotel credit cards offer a good sign-up bonus as well as free night offers! They do come with an annual fee, however. Evaluate your financial situation before selecting a card to ensure it fits your spending habits. When you’ve made a decision, click on the card links in the table below to learn about current sign-up promotions and apply! Hot Tip: Check out the benefits and perks of the Marriott Credit Cards! Using Marriott credit cards is a terrific strategy for earning Marriott points. Every credit card purchase earns 1-6 points per $1 spent, depending on the bonus category. For example, earn a whopping 6 points per $1 spent at the more than 5,700 participating Marriott Bonvoy around the world! That’s on top of the 5-10 points per $1 earned for being a Marriott Bonvoy member! Use any of our recommended Chase Ultimate Rewards credit cards and transfer points to Marriott. Each Ultimate Rewards point converts to 1 Marriott point, and it takes approximately 2 days for the transfer to complete. Use any of our recommended Amex Membership Rewards credit cards and transfer points to Marriott. Each Membership Rewards point converts to 1 Marriott point, and transfer are almost instant. A car rental from Hertz is worth 500 Marriott points. Another strategy for earning Marriott points is by booking rental cars through Hertz. Use the code 154080 and you’ll earn 500 points for each rental. Even if you only rent a car once a month, you’ll earn 1,500 points in 90 days. After a year, that’s 6,000 points! Sharing the benefits of Marriott with friends can earn you 10,000 points a pop (maximum 50,000 points per year). Each new member can earn 10,000 points — 2,000 points for each of the first 5 Marriott stays they book. Now that you’re ready to begin accumulating Marriott points, let’s briefly talk about how you can use them. Between Marriott properties and the many partners in the Marriott program, you’re bound to find the perfect redemption! With the new 8-category award program, a number of properties have gone down in price. Also, since Category 8 does not take effect until February 2019, the most luxurious hotels may temporarily be available at lower Category 7 prices. At this point, it should be pretty clear how easy it is to earn travel in the Marriott program. Thanks to the strategic credit card choices, your points will start adding up quickly, so start thinking about your dream vacation now! Marriott Bonvoy is a hotel loyalty program. Members earn points to use toward more than 250 possible redemptions including free hotel stays and vacations. Which hotels earn Marriott points? Earn Marriott points by using Marriott credit cards, booking hotel stays, planning events, and making purchases from program partners. You can also transfer points earned with Chase Ultimate Rewards credit cards. How can I earn more Marriott points? Earn Marriott Bonvoy points by using Marriott credit cards, booking hotel stays, planning events, and making purchases from program partners. You can also transfer points earned with Amex Membership Rewards credit cards, and Chase Ultimate Rewards credit cards. Is there a Marriott credit card? The Marriott Bonvoy Boundless™ Credit Card and the Marriott Bonvoy Business™ American Express® Card both earn 6 points per dollar at participating hotels with Marriott credit cards and also have other bonus categories that earn 2 points per dollar. Where can I find my Marriott account number? Log into your Marriott account with your email address and password. Click on “My Account.” Next, select “Account Overview.” Then click on the “Profile” tab to find your Marriott number. 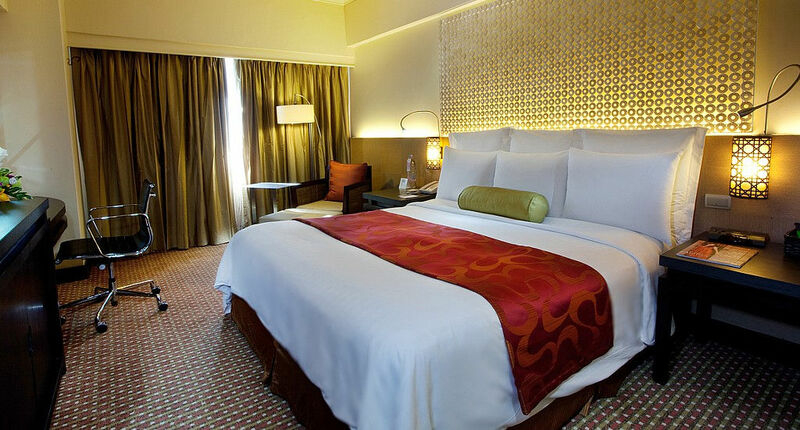 As long as you have a paid stay every 24 months, your Marriott points will not expire.